Julian is a Garifuna man in Northern Honduras. 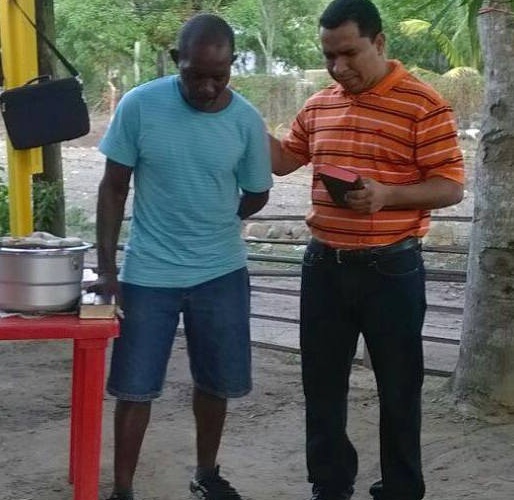 He was befriended by a local pastor, Luis, who started learning about him and his life. Luis found out that Julian and his neighbors had little access to water, so he told HOPE Coffee about the need. HOPE Coffee partnered with the local church to build Julian and his neighbors a water storage unit. Through the process, Julian accepted Christ on August 7, 2015 and is attending the church in Tela. Please pray for Julian as he learns more about God’s Word and grows in his walk with Christ.